After your appointment with our guide Kadek, it will lead you on the heights of Sekumpul to start your trekking through the rice fields of this village. This time will be for you the opportunity to see the ingenious system of irragation of these rice and discover those responsible to scare birds when rice comes to ripening! 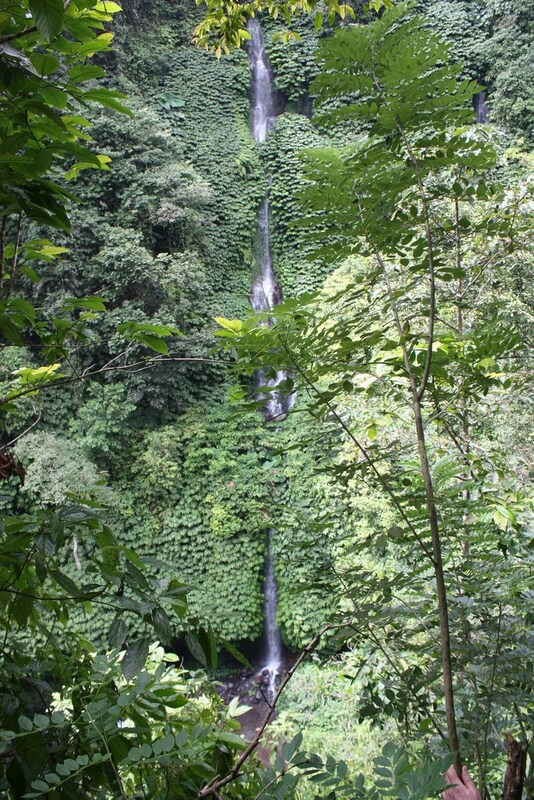 Then you begin your descent to the waterfalls of Sekumpul, seven total! 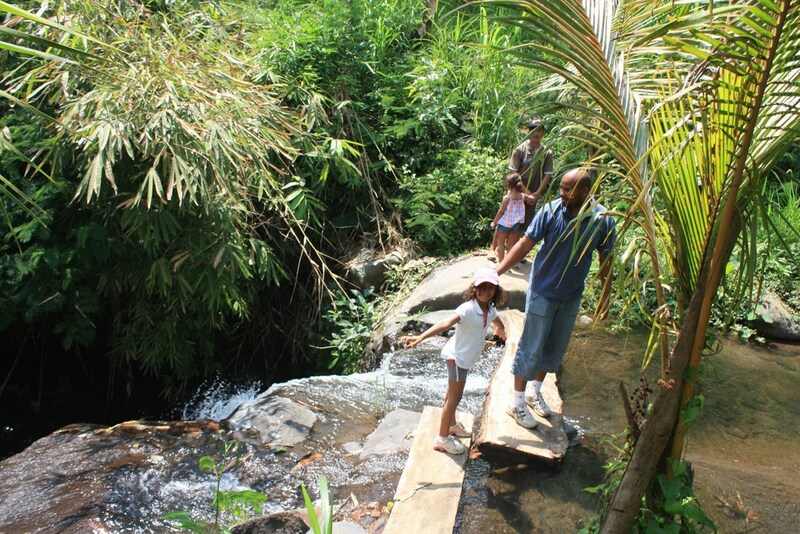 Through different streams, you can then enjoy the natural pools beneath waterfalls for you refresh. The back is done by a path with more than 350 steps, but the magnificent view will motivate you to find your breath. At the Summit, will offer a typical Balinese buffet prepared with local products, seasons and bio. 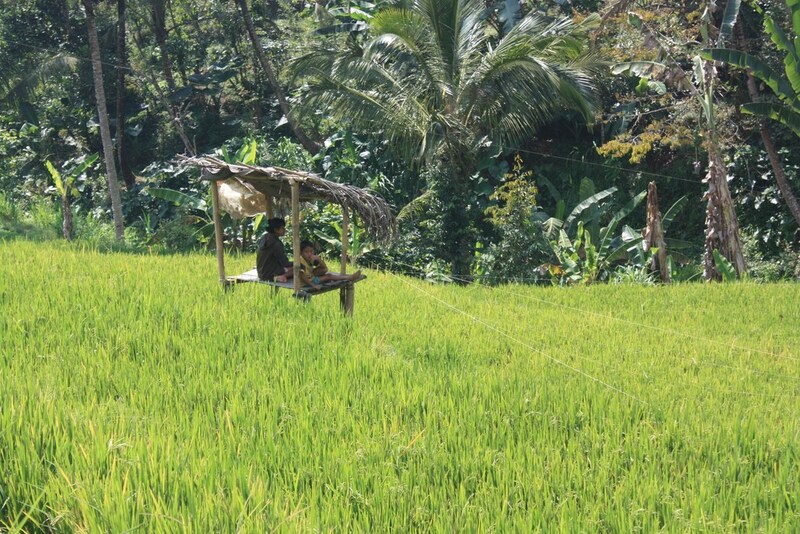 Served under the gazebo, you can relax after this adventure in the heart of rice fields and plantations of the mountains of the North of BalI. 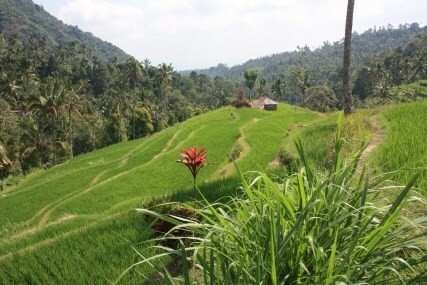 A unique experience in the rice fields of Sekumpul, far from the tourist cascades of Gigit or Munduk! A fabulous meal prepared with all the flavors of these plantations of spices..
© Copyright Sekumpul.net. All rights reserved Kembali Limited HK.